We recently had a discussion in the Your Golf Travel offices as to which 18 holes would make up the ultimate “Fantasy Irish Golf Course” and, needless to say, with so many opinions being offered we couldn’t settle on a definitive list…the phrase “too many chefs spoil the soup” sprang to mind. 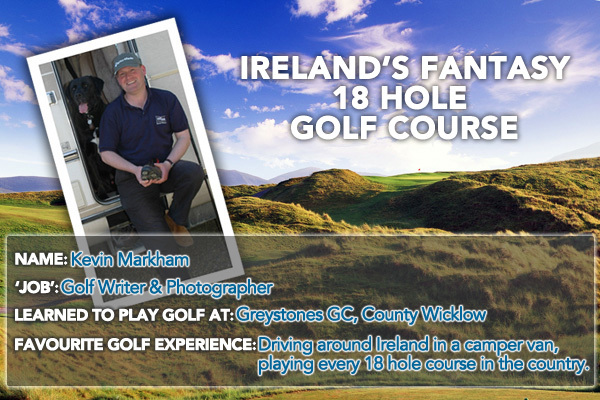 With the question unanswered we decided to call in the cavalry and who better to come up with the 18 best holes in Ireland than Kevin Markham; the man who has played every single 18 hole golf course in the country…yes you read that right…all 350 of them! Remember the James Bond movie, when Pierce Brosnan runs through Waterloo Station, and the next second he’s running on the Embankment? Even Usain Bolt wouldn’t have managed that! Playing Ireland’s ‘Fantasy 18 Holes’ will feel a bit like that. You’ll walk off the 12th green at Waterville in Co Kerry, and then magically appear on the next tee at Macreddin GC, in Co Wicklow, 220 miles away. 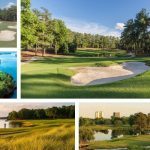 Choosing the definitive 18 proved an almost impossible task and there will undoubtedly be the “But what about…?” comments, but this course combines links, parkland and seaside golf to create an entertaining and challenging Par 70. It combines the modern, the old, the quirky and the classic and it would make one hell of a round of golf. 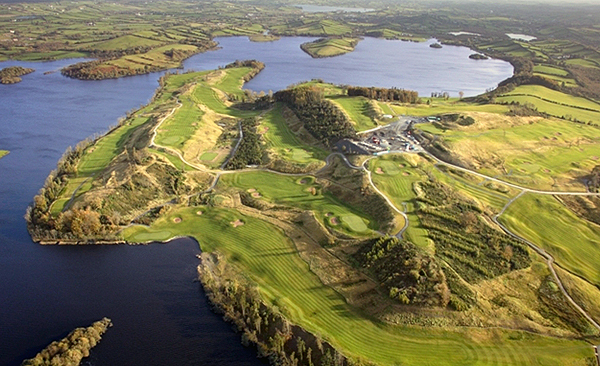 One of Ireland’s newest holes (opened 2013) this is a wolf in sheep’s clothing. You drive towards enormous dunes and then face a tricky second shot that is so hard to gauge… and it all looks so easy from the tee. 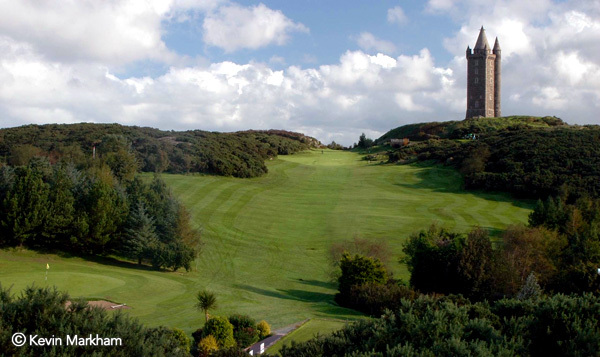 An unsung hero, Scrabo hits you with its toughest hole at the very start. 400 yards straight uphill, between banks of razor sharp gorse and Scrabo Tower beckoning to you from the top. Play off the back tees for the full experience. 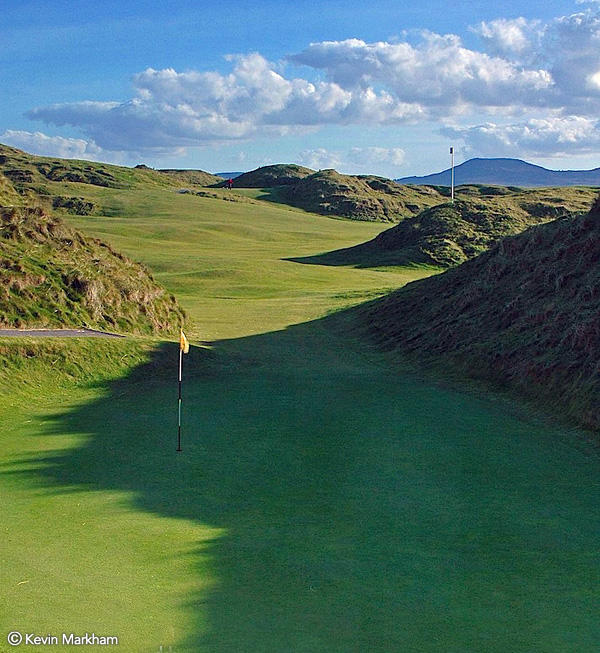 Tucked away in Donegal and all its glory, is a golf hole (and course) of remarkable beauty. From the tee box you drive down to a fairway that doglegs around the beach and a river. A real risk vs. reward shot and then water fronts the green. Perched on a turret of County Antrim rock high above the ocean, Cairndhu’s 2nd plays from one rocky edge to the other. It’s a full 360 degree experience with Scotland hovering on the horizon and the Irish Sea lapping below. 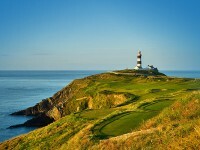 A golf experience like no other, Old Head slides along the top of 300 foot cliffs. 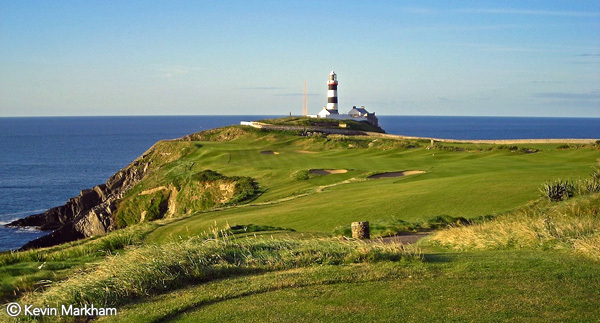 Nowhere is this demonstrated better than the 4th, a dogleg that clings to the cliff tops for dear life as it sweeps towards the peninsula’s lighthouse. A double dogleg par five along the shores of Lake Muckno, this hole takes you out to the dark waters and lures you in. The green, resting above the lake, calls for a perfectly executed approach. One of Ireland’s most picturesque spots and an easy looking, short downhill hole. Only one problem: the green sits right on the Atlantic and a 50 yard pitch becomes the most terrifying shot imaginable. Jack Nicklaus is not a fan of RCD’s blind holes but one man’s ying is another man’s yang and for me, this is the pick of the bunch. It’s so blind it is brutal. 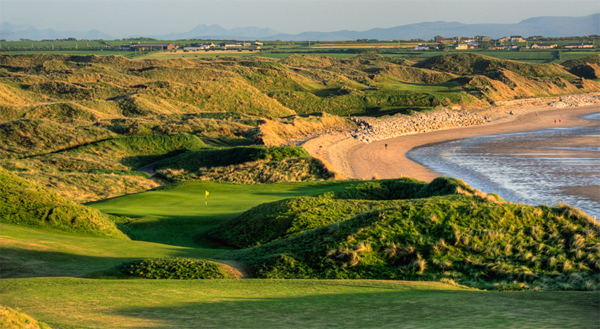 You drive over gorse towards the bruised hues of the Mourne Mountains, hoping you find the fairway far below. When you crest the dune it is the day’s most beautiful sight. A beautiful hole above the beach and ocean, Ballybunion’s 11th often makes ‘best hole in the world’ ratings… Tom Watson certainly thinks so. The hole drops down almost like the waves of the ocean alongside to a green protected by the shoulders of two dunes. 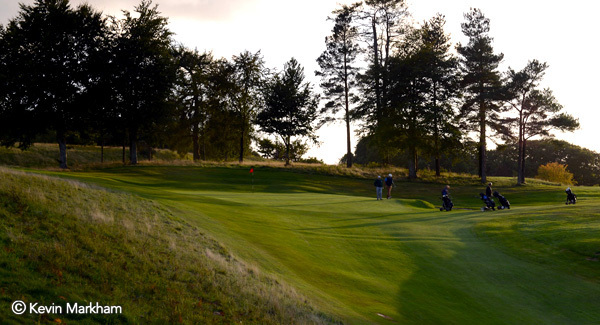 Rich in folklore, this par three 12th is known as the ‘Mass Hole’. The green sits perfectly on top of the dune, with mountains rippling along the skyline beyond. Don’t be long; don’t be short. 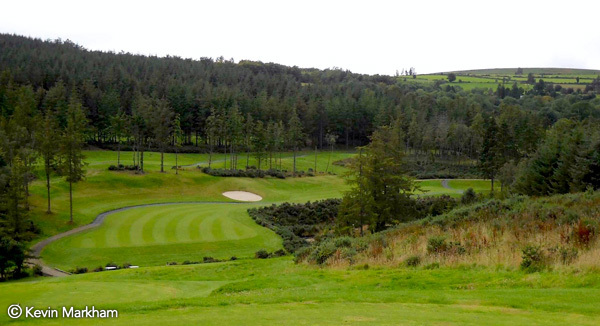 Paul McGinley’s Irish creation weaves through the Wicklow valleys above the village of Aughrim. The 12th is a sharp dogleg right, and crosses over Ballycreen Brook, twice. Two laser-accurate shots required. Arnold Palmer took credit for Tralee’s front nine, “but surely God designed the back nine,” he quipped. 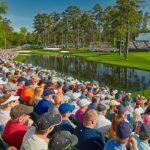 The thrill and the fear factor of the 12th hole support that assertion – with a brutal chasm awaiting errant approach shots. A twisting, short, downhill links hole that teases you with choices. The hole veers left but winds around a dune, down to a hidden green. Get it wrong and your ball may be gone forever. Famous for being designed by its members, Strandhill has novelty and quirks aplenty, and some superb holes – none more than this. A blind tee shot down into the dunes is followed by an arrow-like approach between tight, sentry dunes. One of Ireland’s best holes and one of her most difficult. This big par four fades around a blasted rock face to a fairway and stream below, leaving a second over water and swans to the distant green. A par is victory. 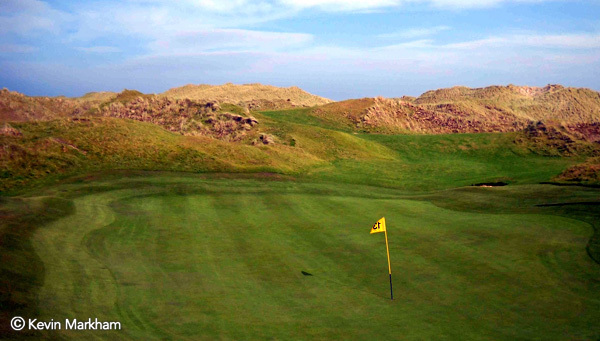 ‘Calamity’ is a world-famous par three, with a green clinging to the dune’s edge and nothing but angst below. There are two ways to play this hole: hit; and hope. A natural hole if ever there was one, the 16th glides ever upwards between banks of fern and thick grass, the fairway narrowing at every step to a slick, lethal green. Sheer old-school (Tom Simpson) class. Ending with a par three may not be to everyone’s taste, but with Lough Leane shimmering alongside, the mountains almost close enough to touch and golden pine trunks snaking up around the green, this is a mesmerising finish. 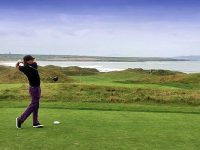 Ireland Golf Holidays – The best links golf in the World? The 2nd’s a brute of a hole, alright, but would prefer the thrills of the 4th and 7th. What an amazing collection of golf holes. 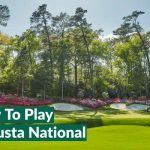 I’ll be booking my next golf holiday to Ireland after reading this! Can’t argue with any of Kevin’s selections…..a good friend to Westport Golf Club and a great supporter of Irish Golf. The15th at Druids Glen brilliant golf hole you need a good drive from a raised tee and cut the corner the closer the better for your 2nd`s a precision shot to a raised green water in front and tree`s either side of the front of the green I`m nearly sure it`s index 1 beautiful hole in the summer when it`s in full bloom as is rest of the course. Mecreddin`s 12th elevation golf watching your drive across the valley hang in the air then drop to the green is amazing to watch no messing about you gotta be straight it`s a small landing zone. Buggies all the way here it`s not for walking.